To understand the difference between any two things or people or places, one would have to have a very detailed, experiential and clear knowledge of each. When it comes to things or people or places that we can feel and touch and physically experienced with our five senses it is not a difficult task. However, when discussing the Supreme Creator and the relationship of Jesus Christ to the Supreme Creator or God, it is a very difficult thing to conclusively come to terms with. There are basically only three major religions in the world that would be considered monotheistic and they are Christianity, Judaism, and Islam. The rest of the world religions are pantheistic or mystic. So we can limit the discussion here to the three monotheistic religions. Of those three, two of them recognize Jesus who is called the Christ of Nazareth who lived over 2000 years ago in and around Jerusalem as a prophet. Only Christianity recognizes Jesus Christ as God in human form. Trying to now compare God to Jesus Christ does present some problems. First of all, understanding God outside of the 66 Books of the Bible would not be acceptable to the Christian Faith. One could conclude that God is a “Thinking Structure” as was written about in many different writings. One could describe God as the “common cognizant thought” that all human beings have in common as they are in essence all composed of “cognizant thought”. It could be just the “abundance of love” that is part of this world. It could be the understanding that our thoughts create reality and that God is in all of our thoughts. Whatever your understanding of God is, it may be only partially correct at best, even if you decide that the Bible is the final arbitrator in describing God, even one’s understanding of God from the Bible is extremely limited. This would be true even of Bible Scholars who spent their lives studying the scriptures. So let’s now look at Jesus Christ. It seems obvious from history, both in the historical texts of the scriptures and extra-biblical texts that Jesus Christ existed. His life did accompany many miraculous events that seemed to have been foretold in the Old Testament. He did have many recorded events about his life that are not easily explained. It all started with the events around his birth. It included the numerous miracles recorded in the four Gospels. It culminated in his crucifixion, death and reported resurrection that to this day has not been sufficiently refuted. Simply producing his dead body would have been sufficient but no one was able to do so. 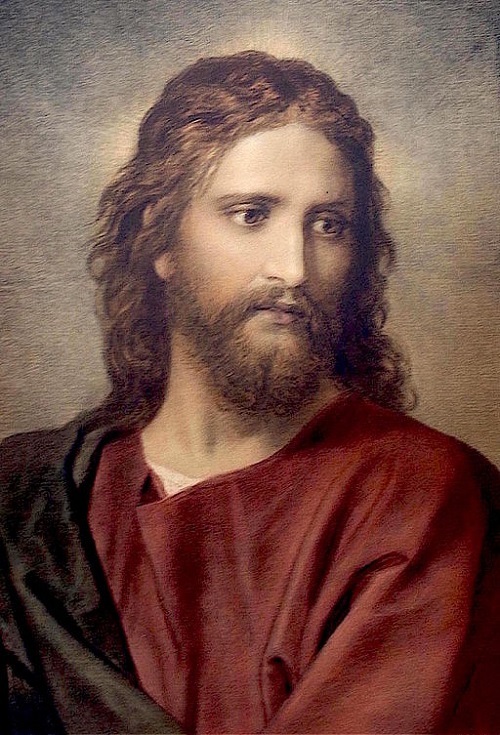 As a result, the life of Jesus Christ has changed the course of history and forced many followers to conclude that Jesus Christ was God in human form. It is from this that the Trinitarian view of God arose from implication. The term Triune God or Trinity when referring to God is not actually found in scripture. In fact, Jesus Christ himself did not claim to be God. The closest he came to saying that is that he was the Son of God, the Son of Man and that he and his Father are one! However, it can be confirmed that scripture states that believers are also considered Sons of God and one with the Father. Is this different than what Jesus meant about himself? One can look at the book of John chapter 17 where Jesus prays that we are all one with the Father. God is described from subsequent Christian teaching as One God represented in three Persons known as God the Father, God the Son and God the Spirit. It is from this understanding that Christians believe in One God, represented in three divine persons. So how is the man Jesus Christ different from God. First of all, Jesus Christ is human. He lived as a human and died as a human. This is not something that God is believed to have ever done before. Jesus Christ arose from the dead in human form. So if Jesus Christ is God, how is he different? As he ascended to heaven, it was reported in the Book of Acts, he ascended in human form. This means that Jesus Christ has limited himself to time/space continuum. It has to be! The fact that he was apparently able to go through physical walls and ascend into heaven and even walk on water may be an indication that as God, he understood and used the laws of Quantum Physics in such a way that we may discover over time. The alternative is that Jesus Christ is simply human that had an understanding of how the physical world really works in view of Quantum Physics. There is no indication that Jesus Christ displayed infinite knowledge as God, neither did he display omnipresence as God. So what is the main difference between Jesus Christ and God? We would have to say the limitations that he had as a human on this earth that God would not have been limited to. These are all within the time/space continuum that we as humans still do not fully understand. Betty Norris. "The Difference Between God and Jesus Christ." DifferenceBetween.net. November 21, 2016 < http://www.differencebetween.net/miscellaneous/religion-miscellaneous/the-difference-between-god-and-jesus-christ/ >. Interesting stuff; compare & contrast. Jesus gave many indications as to his Deity during His ministry. Although He completely maintained the perfect Hypostatic Union (All man and All God) at the same time. He showed us who and what he was. Here are just a few things Jesus shared with us; John 8:58 ” Before Abraham was, I am”. “I am the light of the world”. (John 8:12;9;5) I am the resurrection and the life”. (11;25) Jesus referred to Himself as I am (6:20; 8:24,28,58;18:5), a clear allusion to God’s identification as “I am” (Ex 3:14). True..There are thousands of people who belived that Jesus is GOD. Refer to Revelation 1:1-15 for your answer to this question. Hi, here’s my interpretation. He is the Son of Man meaning, that he does the will of his father, and that is whoever the Father calls comes to the Son/him. He has been given dominion in a sense over us as the judge, so he is the Son/God of Man, in a sense. Of course they are all one but it appears almost like an arrangement that we are given to him if we believe or are called by the Father, who’s call is irresistible, as I imagine the Shepherd/Son is quite irresistible as well since they are one in spirit. So, my conclusion is the Son is givento is for judgement and he is the Son of Man. Once redeemed, we are with the entire spirit of God and that’s when we will see the face of God. Also, yes, the Holy Spirit is an equal just running out character space and he’s the power of the entire spirit, or something like that, it’s a lot to comprehend, I’m trying and open to other suggestions so long someone doesn’t try and diminish the Sons equality. I greet you in the name of Jesus Christ my brethen,you spoke the whole that many people who called themselves Christian they don’t understand or ignore it Jesus is fully God Himself and the Holy Spirit. no scriptures state that jesus is God,God is jesus,the holly spirt is jesus , or the holly spirt are one! God is God jesus is his son,the holly spirt is God ! there is no evidence not one that that all 3 are God . how do i no that . i know my scriptures and i asked God to explain it to me that’s how i no God is God jesus is the son of God and the holly spirit is God because God is spirit and holy God is not a mystery he never stated in scripture he was neither did jesus anybody who says God is a mystery dose not know God nor do they have any relationship with him and jesus because once a person is saved born again Gods spirit dwells in them to teach us and guide us in our daily walk . God is not a God of confusion! unbelievers are. Romans 10:14 14How, then, can they call on the one they have not believed in? And how can they believe in the one of whom they have not heard? And how can they hear without someone preaching to them? May every one go through these verses slowly.. The word Son does not mean offspring…it is capitalized because it means image… Jesus, the Son of God, hence, the image of God…. Not, Jesus the son of God, meaning his child. When concerning the topic of the trinity 1 Corinthians 14:33. “For God is not the author of confusion…” is what has helped me resolve the confusion within me as to whether Jesus is God or not. If God is not a God of confusion then there shouldn’t be any question or controversy because Jesus would have been very clear about that and simply stated “I AM GOD” without all the controversy. Jesus said he was the “Son” of God and not “God” the son. Furthermore, during the era of Constantine the great Arius, a priest from Alexandria, Egypt and Athanasius, a deacon also from Alexandria having opposing views sparked a controversy and divide in the church that prompted concern in Constantine. Constantine convened the Council of Nicaea for political reasons & unity in the empire and the Trinity Doctrine was adopted. This historical fact should provide everyone with food for thought. Few understand that the idea of a trinity was adopted several centuries after the Bible was completed. So one should ask himself why all the confusion if God is not the author of confusion? Now think about the major shift in the history of Christianity if the vote would have fallen in favor of Arius who believed Jesus was created as the Son of God and God the only true God with no one else with such greatness to be considered one in a trinitarian sense. The shocking truth is that the doctrine of a trinity cannot be found in Scripture and if it is not in the Scriptures, we shouldn’t adopt it. Sorry but Jesus did not resurrect in human form as you are conveying here. He resurrected in a spiritual body as an example to us of what our future resurrection will be, and our form in eternity will be like. Jesus had the capability to appear in the physical after His resurrection. Him eating with the disciples and allowing Thomas to literally touch the crucifixion nail holes is proof of His ability to appear in the physical. But, He also was able to move thru walls and appear out of nowhere. This is a characteristic of what one who is in a spiritual body can do also. Our future eternal life will be in a spiritual body as described in scripture and set by example by Jesus Himself. Agreed Bradford. Realizing He was “God”, Jesus could enjoy both a ‘physical’ body and a far more Subtle body… and can give direct proof of this to those who are spiritually mature enough to receive this information. …. directly from Within. He did not have to SAY He was “God” …because He was “God”. He Revealed His Infinite State as only “God” can. Consciousness can take on ANY Form THAT One, “God” , so chooses. The mind of Man can not fully comprehend “God”. Jesus himself said don’t worship me but worship my father in heaven…pray in my name…so he wasn’t God…he served God as we should do too become like him…he showed us the way…to become son’s and daughters of our Father in heaven..
Gregory,Jesus said I and my father are one, meaning God the father or His father are one, meaning every thought you may want to describe who God is, So is Jesus isn’t? So God and Jesus are one. Ex 3 God said Iam Jesus said I am. While Jesus was on earth, He by His father’s sent direction He has to be limited atleast to show you that at your limited understanding of who God is, you can still know Him and worship Him in the way Jesus Himself did. He has the scares on his hands and feet still and always will as a reminder. He sent the comforter his mother the breath of the spirit, for us after he left to wait his return. Yes he is as we shall be, better and it may be entirely different and may not be all we think we know I think is. We will be given a perfect spiritual and fiscal body if we are saved. What kind of body that could entirely be is truly unknown.. Thank you ! That makes more sense to me now. I do agree but we have to be careful not to convey the idea that Jesus was a “ghost”. When I explain to non-believers I use 1 John 3:2 Beloved, we are God’s children now, and what we will be has not yet appeared; but we know that when he appears we shall be like him, because we shall see him as he is. We are now human beings and we will then be the full expression of our humanness. But as you stated, unlike us, Jesus is fully God and fully man forever. I am afraid that you have quoted the scriptures regarding the fatherhood of God out of context. True, John 1:12 gives the right to become the children of God to all those who received Jesus. But Son of God cannot be equated with children of God, except by doing violence to the ordinary meaning of these words: ‘son’ and ‘children’. When Jesus was baptized by John, His uniqueness as Son was affirmed by God the Father . See Matthew 3:17. It is absurd to state that the Doctrine of Trinity is a subsequent teaching , thereby implying that it is not in the Bible. This is similar to claim that the Constitution of America doesn’t have the concept of Rule of Law and that it is a subsequent invention of the American Courts. Reading Matthew 3:17, a thought occurred: God spoke a sentence? Words people heard and understood? Or are we in metaphors and again? Jesus did claim to be God he said before Abraham was, I am. The disciples called him Lord. Psalms: The LORD said to my Lord sit at my right. Eloheem herfers to plural in Gen. Let us make man in our image. We are in the image of God, we are also triune. One person body soul and spirit. John who was for told of preparing the way for the lord in the desert. John 14:24 Father sent me. Dear Candace, we as humans R going to believe what we want, God have us “free will”accept Him or accept what the world has to offer. Look at John 1:1, this indicates that Jesus is the Word & the Word was with God & the Word is God. I have been told that every person is a liar. Everything was written over the last couple thousand years. How much of this is the truth? that this is the word of God? Amen, Mortal Man of power can dictate the interpretation as per his benefits. For the overwhelming majority of non believers there is the notion that if believers just give you something tangiable than it’ll change everything. God himself could explain everything to you and you still wouldn’t believe it. That’s the cold hard truth. You either believe or you don’t and it doesn’t get any simpler than that. Alpha, Man is not a Liar as you were told. Man is a sinner but he has been given chance to repent from sin from God so that he can do good.Whoever told you such evil statement is not of God. The word of God the Bible is truth and God wrote thru his inspired men and women many years ago. It’s up to you to disapprove by choice but to us who believe it , it is life and life changing word of truth just tempt to use as it says and you will never be the same again.John 3vs 16. John 1vs 12. I Timothy 3:16. 1Tim 2: 15 The only breath you are breathing today can not be taken for granted Alpha.If you misuse that breath now just remember it will go back to the one who sent it in you the Supreme authority, our God. The Catholic Church’s theology about the dual nature of Jesus Christ, his death, and resurrection that can be traced back as far back as the second century. Accordingly, Jesus was one person with two natures, one divine and one human. When Christ’s dead body was in the tomb his soul descended to the outer ring of Hell (“Abraham’s Bosom”) where the Old Testament saints awaited the promise of the Messiah opening the heavenly gate to the Beatific Vision, which was closed to humans since the Fall from grace recounted in Genesis. The divinity of Jesus Christ was united to his body and soul the entire time he was dead and in the tomb. This is why his body did not rot and his soul could overcome the powers of Hell. It was necessary that the same body of Christ be reunited with the same soul. Had he resurrected in a spiritual body (as Bradford suggests in an earlier comment), then his resurrection would not have been a true resurrection. Please ref these Bible verses that clearly identify Jesus as God!! In Islam it is beloved that Jesus is God prophet sent for the people to do mercy and right things in society. He was taken by God .after sometime he will come again and conquer the whole world .there will be peace and porsperity and then he will die.he is still live in skies.there are seven skies he is present at one of them. Jesus is a person ( human ). God the Father is not a person ( human ). He is a Spirit ( Holy Ghost ). God is our Father. That is WHO he is. God is a Spirit. That is WHAT he is. Jesus was conceived by his Father the Holy Ghost. Jesus is the second Adam. A MAN IN THE IMAGE OF GOD. There is no three person Trinity. Just God in Christ and Christ in you. I’m Catholic, and the Catholic Church teaches that the Holy Spirit is the result of the love between the God the Father and the God the Son (Jesus). Since the Father and the Son have existed and loved each other eternally, the Holy Spirit has existed eternally. So the Son does not come from the Father and the Holy Spirit, but the Holy Spirit comes from the Father and the Son. The Nicene Creed states that the Holy Spirit “proceeds from the Father and the Son.” The Catholic Church also teaches that Jesus is not just man, but God also. Completely God and completely man. I do acknowledge that not everyone here is Catholic (or even Christian for that matter). I’m just stating what the Catholic Church teaches. Christ is 100% Man and 100% God. * He slept, He got tired, He ate (hunger), He cried and even died. These are characteristics of MAN. *We’re in a physical world and before a spirit can relate well to this physical world, He must be a man. That’s why even the devil can only operate effectively when he gets access to a body. As you can see, he is using us against ourselves. Remember also in the garden of Eden, he used the snake. * He became a man,went through all that we’ve been through right from pregnancy to adulthood to show us that, He understands our pain, cry and all our situations because he is been there before as a man and that’s why He can SAVE us. Unlike Adam who has never been a child before and so does not understand what it means to cry. Christ is God and He must not necessary say it categorically or claim it openly, He is. Even men sometimes hide their identity trying to portray humility and so it’s not strange for Christ not openly declaring Himself as God but gave so many indications that He is. Christ wants us to identify Him by ourselves if indeed we have understanding. He is THE IMAGE (picture) of the invisible God. Take your picture and tell me you are seeing your brother, so if God is holding Christ (image or picture), He will be seeing Himself. Every thing was created by Him and for Him.Nothing was made without Him and He was before all things. On this earth, He became a Son been sent because of the reason why He came but in actual fact He is the same God. Christ is both the bridge and the God whom the bridge is leading to. He is reconciling man to Himself. It’s a mystery and never easily understood. Remember God is Heaven and on Earth at the same time and He is not to be understood. The day you will understand God, He will cease to be God. I’m sorry I did not quote any text but if all that I’ve said are in the Bible. This is exactly how I feel! So glad I’m not alone! Now God was once known to be a VOICE that comes to the garden and when you hear a voice, you will definitely hear some WORDS through the voice OR you will hear the voice saying something (word) to you and Christ is the WORD that proceeds from the mouth of God. Meaning the voice or the word that comes to them in the garden whom later they found out to be God was Christ (the same). Unless somebody want to say that his voice can be separated from him. If your voice is separated from you, it means you are dead and you will not be heard again because you will not be able to speak. You can confirm that (eg) Kofi is in the room by just hearing his voice in the room when you are outside without necessary seeing him because you agree that Kofi’s voice is he himself and his voice cannot be separated from him. The same way you cannot separate God’s voice (word) from Himself and Christ is the Word(voice) that proceeds from God’s mouth which means God and Christ are unseparatable. In the beginning was the word ……… and the word became flesh and dwelt among men. As I said in my first post, there are a lot more to be said about this issue, but once again let me stop for now. I really enjoyed the author’s mindset. Growing into spiritual maturity with Our Father is KEY. God Bless you and keep you, for God is definitely not up for debate. He has placed His Word in everyone of us, it is up to us to pay close attention, and to refer to only Him when not understanding. Keep growing with God, it is Everlasting Work. Thank you so very much, my spirit sings. ‘Faith’ is the evidence of someone without evidence. No, there are plenty of people who don’t believe any of it. To the extent that morality is innate, it’s a product of being members of a social species that is able to relate to others. You don’t hurt people because you understand what it’s like to be hurt. If there were a such thing as an all-powerful being, it would have no meaningful relation to morality because it could not be harmed (and if you claim that he Christian god was harmed when in the form of Jesus, the story indicates that was part of the plan, and thus, consensual. Consent is non-harmful just as harm is non-consensual. Given my experience of men and the world, I find it more likely that the Bible is a pack of lies than that the supernatural claims are true. Jesus was a wise peacemaker. That’s it. Considering that he’s supposed to have said “slaves, obey your masters” rather than ‘masters, free your slaves’, I’m not so sure he was all that great, if there was even a real person under all the myths. The relation of masters to slaves comes from St. Paul. in the epistle to the Ephesians: 6:5. God is the Word, & the Word is God, Jesus Christ in manifest flesh form was, is , & will come again. Prepare ye all for the Kingdom of Heaven is at hand!! God bless & Goodnight or Good day!! Love each other, nation to nation, race to race, religion to religion, do not argue ,& fight, accepting differences is the key to understanding. This article is very unbiblical! Jesus is the creator! He is God the Son! A trinitarian Christian should had written this article, not you! This is like me writing about what Muslims believe! In the beginning was the Word, and the Word was with God, and the Word was God. The same was in the beginning with God. All things were made by him: and and without him was made nothing that was made. Jesus therefore, knowing all things that should come upon him, went forth, and said to them: Whom seek ye? The answered him: Jesus of Nazareth. Jesus saith to them: I AM he. And Judas also, who betrayed him, stood with them. As soon therefore as he had said to them: I AM he; they went backward, and fell to the ground. As far as evidence goes, they have nothing to distinguish them from any other fictional character. God and Jesus are just the imaginary friends that many adults never grow out of. It can be discerned by reason that there is a God. However the world came to be, whether from some form of life evolving into everything contained in the universe or the Big Bang or any other way, something must have caused this to happen. One can explain where something came from, for example, as I’m a baseball fan, a baseball bat. The bat is made of wood which came from a tree which grew from a seed which came from another tree, etc. Eventually, you have to have a tree that grew without first being a seed or a seed that did not come from a tree! Even if one can explain how that could happen, what caused the thing which made a tree grow without a seed or a seed come to be without a tree? Eventually, one comes to a point where the only possible explanation is a Supreme Being which is not contingent upon anything. A Cause without a cause. This we call God. The apostles except Paul were all illiterate. The names of the gospels were not the original authors, later disciples who were literate wrote the gospels from oral tradition. Illiterate scribes copied these original documents. We do not have the original gospels in our possession. You can read gospels transcribed and see the additions and errors of the scribes. The most noticable is Mark 16 and John 8. Mark is the earliest copy we have of any gospel and it was published 40 years after Jesus’ death. Mark’s gospel leaves Jesus’ resurrection as a question or possibility. The majority of Mark 16 was added much later in the 2nd or 3rd century AD or CE. The Gospel of John was written at best in the early 2nd century by a skilled academic who knew Greek and Plato (Neo Platonist most likely). The whole story in the Gospel of John about the women caught in adultery is a pure fiction added by a monk scribe in the 7th century AD/CE. Paul is the only original author of the new testament who most likely wrote Romans and Galatians, maybe parts of Corinthians, but not much else. Most of Paul’s letters were written by someone else after Paul in 3rd century. Much of the theology of the Trinity was established in the 3rd or 4th century and not completely until after the Canon of scripture was approved at Nicea. The Council of Nicea was a political move by Constantine who was looking at uniting the empire around this new religion that had taken hold of the Roman Empire. The whole story of Constantine’s conversion and handing the kingdom over to the then Pope was a lie uncovered by the early Reformation. The new testament like most of the old testament was mostly written after the fact. It doesn’t mean there was not an Abraham, Moses, King David, or even a Isaiah but their prophecies were written by Jewish scribes after they lived during the Jews captivity in Babylonia and Persia. We need to look at scripture as not being without error but at best inspired. Jesus’ resurrection is something you have to take on faith without any evidence except the testimony of error prone and dated gospels. The Trinity is an after the fact theology that the Apostles and 2nd century church did not make it mandatory to accept. Jesus was the son of man who became the son of God because of the belief he rose again from the dead. How many Arian Christians were slaughtered by the Catholic Church because they did not accept the Trinity but believed in Jesus’ resurrection ? They were followers of Jesus. I find it encouraging that there are so many people responding on this site and to others. We learn from each and all. This and no arguments. The older I grow, the more AND less I know. Can y’all believe I said that but it’s true. I now smile, wave and say hi to all I see when entering and leaving a store or any building,on the sidewalk, or in my car. Remember no matter how old we grow, life on earth is short. I was born,baptized and confirmed as a Lutheran. I converted to Reform Judaism and now studying as many different religions as I can and say basically all religions are the same. What’s is important is belief. If god and Jesus are not real , please explain how we became to know the difference between right and wrong or good and evil, or love and hate? As I grow, I find that over time certain things resonate with me and universal truths reveal themselves. From this article I have learned that spiritual maturity is essential in order to commune with God. Since that maturity is gained over the course of a lifetime, it would make sense that murder or suicide would cut that short and is therefore sinful. God I feel is not out there in the heavens but deep inside all of us and will be found within. Most of the Bible has been altered and changed in order to control the mases over the yesrs so it is hardly a reliable source of guidance ( it even omits that he was married and a rabbi.) But it is all we got and a great story so I am willing to believe that Jesus was a vehicle for Gods message and s son of God as we all are. It was his great love and compassion that set him apart and he taught others love, tolerance and compassion because they wanted to be like him. He represented the greatest of what lies deep inside all of us and what we have the potential to become. When we die Gods’ spirit inside each of us will go home and unite with Holy Spirit where we began and we won’t even have to worry about it because that is how God works. “”Then Jesus, still teaching in the temple courts, cried out, ‘Yes, you know me, and you know where I am from. I am not here on my own, but he who sent me is true. You do not know him, but I know him because I am from him and he sent me'” (John 7:28-29). “Then they asked him, ‘Where is your father?’ ‘You do not know me or my Father,’ Jesus replied. ‘If you knew me, you would know my Father also'” (John 8:19) “‘I tell you the truth,’ Jesus answered, ‘before Abraham was born, I am! '” (John 8:58). “I and the Father are one” (John 10:30). And if I may ask!! The temptations story in the desert if he was the almighty one true god who would have got the power to put him on the test? By any chance since it was possible that he was put onto a test what if he didn’t pas the the three tests what if ? I have had this question for a longtime, about whether Jesus and God were the same person, or different. I always walk away still thinking they are separate beings. Why? 1* Matthew 26:39-45 And he went a little farther, and fell on his face, and prayed, saying, O my Father, if it be possible, let this cup pass from me: nevertheless not as I will, but as thou wilt. …who was he talking too if he is in fact God?,..furthermore he stated” not my will but thou will be done..there is a mention of 2 wills…his will(which was for the cup to pass from him) and God’s will ( which was for the crucifixion to proceed). 2* Mark 16:19 So then after the Lord had spoken unto them, he was received up into heaven, and sat on the right hand of God. …how can you sit on the right hand side of yourself? 4* Genesis 2:24 Therefore shall a man leave his father and his mother, and shall cleave unto his wife: and they shall be one flesh. I am married to my husband…and we are one..( we work together, we are a team..we strive for unity).but I am not my husband and he is not me…we are separate beings.I feel that sometimes we misunderstand when God uses numbers and time..but like he stated 1 day is as 1000 years and 1000 years is as one day to God. Jesus was a great personality who did a lot for the spiritual rebirth of humanity while he was on the Earth. I see no reason to argue about whether he is God or the Son of God because the main point of what he did and what he appealed people for is Love. The main thing is that a person should aspire to God, should love God with all his soul, be a real human being, because all people inside themselves know what it is to be Human! I did a painting in oils exactly like this when I was 12 years old….I am now 75. Gave my picture to an Elder from Jahovah Witnesses about 4 years ago. I am sure I could track it down. Can you tell me when this picture was painted?